In an ever increasingly fast-paced world, there are few scenarios left where we find ourselves waiting at the mercy of man or machine. Advertisers take advantage of our restless minds by filling these gaps in our busy days with a brief distraction in the form of advertisement. Take public transport for example. Bus stops have been branded for almost as long as busses have been running, and now, it is normal for companies to pay huge amounts for advertising space opposite busy London tube stations. It is no surprise then, that elevator door wraps and branding are becoming more common than ever before. Whether it’s the first floor or fiftieth floor, our eyes remain fixated on the sliding doors whilst we wait for and ride a lift. Staring at something for that long is sure to make an idea stick. Lavastar are experts when it comes to lift wraps and elevator door advertising. Producing all of our wraps in-house, we have branded lifts in shopping centres, airports, sports stadiums, tube stations, cinemas and more. We offer branding of both the exterior and interior of lift doors so that you can maximise your ad exposure. Our installers can install and update your lift graphics out of working hours or even overnight so not to disrupt the lifts usual service. 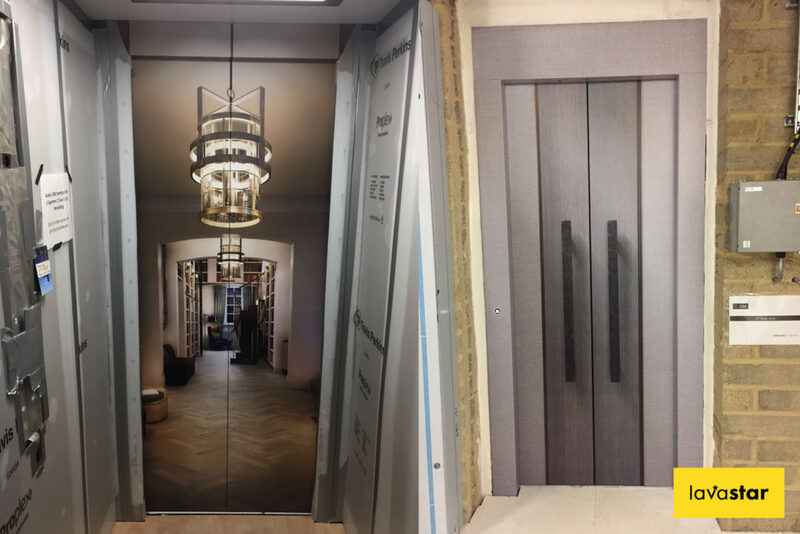 What’s more, we have an in-house design team who are ready and waiting to bring your elevator wrap design ideas to life. Why not take advantage of the sliding motion of the doors to make your ad more animated? Or create an ad which entices people to see what is on the inside of the lift? Only our designers have the creativity and experience to make the very most of your lift branding. Pair that with our ultra-high quality print and you can guarantee there is no one better suited for the job than Lavastar.